This bike will make you smile – a lot! I’d like to offer a special thanks to the team at GO AZ Motorcycles in Peoria Arizona. The GO AZ dealerships are the only 2 dealerships in the Phoenix Arizona area that allow test rides on their motorcycles. It’s always great to be able to get first-hand knowledge on motorcycles I’ve grown fond of. 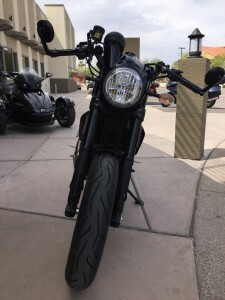 In particular I’d like to thank Tommy Irvin who let me set up the demo ride and Jennifer Duarte who took great care of me when I arrived at GO AZ to ride this new motorcycle. I’ve had my eye on the 2017 Ducati Scrambler Café Racer since I first heard about it. I think it’s important that you read the context within which I do my ride reviews (see the bottom of this article). When I review motorcycles I address these areas on a scale of 0 to 10: (1) Fun Factor, (2) Cool Factor, (3) Utility/Functionality Factor, (4) Value Factor. riding this motorcycle begs to be a bit of a hooligan. Leaning over to grasp the Ducati hand grips you immediately imagine how much fun you’ll have once you twist the throttle and release the clutch lever—and this bike doesn’t disappoint. The smooth clutch and the enjoyably smooth throttle response keeps you from focusing on the mechanics of riding and let’s you simply enjoy the riding. The aggressive seating position adds to the fun of popping in and out of corners. You will turn heads when riding this motorcycle! 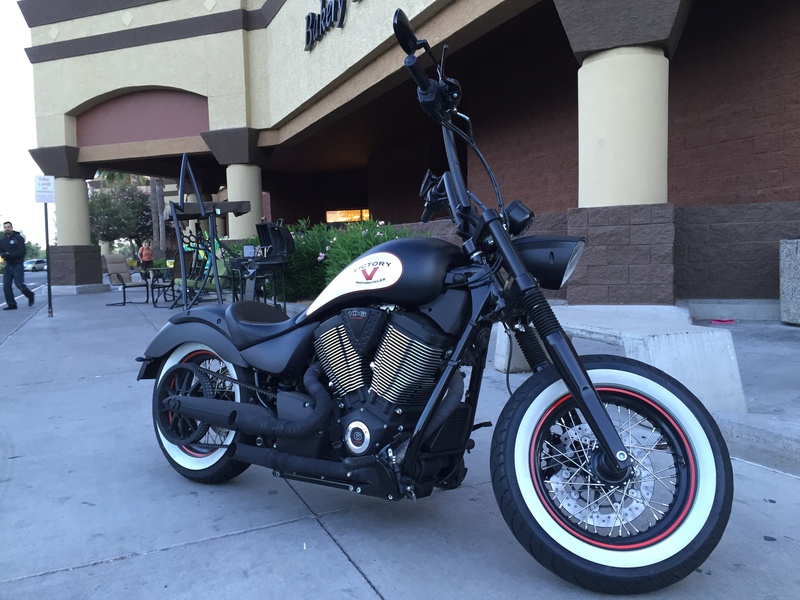 The paint, mini front fender, fat forks, gold rims and accents, number plate, exhaust note, aggressive riding position, bar-end mirrors, and headlight housing all work together to create a cool factor that would even have Fonzie turning to look at you! The brown seat induces a nostalgic feeling of motorcycles from the past. The retro café racer style harkens back to the maddening races of the original café racer motorcycles. And, when riding it, you can imagine being one of those original hooligans tearing up the roads around London in the 1950s. This bike simply looks spectacular. Riding the 2017 Ducati Scrambler Café Racer is indeed a blast, unless maybe you are commuting long distances. At the end of my demo ride, I experienced some minor cramping in my left wrist. I would think that riding this for my entire 45-mile commute might increase that discomfort. Granted, I’m a 56-year-old guy riding a bike that I imagine a rider half my age would be better suited for, but nonetheless, the lower clip-on handlebars may offer you a bit of discomfort should you be traveling more than 20 miles or so. The second thing that makes this a less-than-optimal commuter bike is the seat – or more specifically, the apparent lack of places to put any sort of saddlebags or seat pack. With the seat cowl covering the rear of the seat, removing it for traveling will diminish the cool factor and may be challenging to attaching anything to due to seat hump beneath the cowl. You may get away with a back pack for some trips, but for me, during the winter, I need a place to put my 4:30-in-the-morning-riding cold weather gear in something and my backpack is my mobile office so I need secondary storage. On a positive note, the 2017 Ducati Scrambler Café Racer provides plenty of power for maintaining highway speed. The fuel capacity also offers some challenges with only 3.57 gallon (13.5 liter) capacity. For daily long-ride commutes, you will need to fill up at the beginning or end of each day. 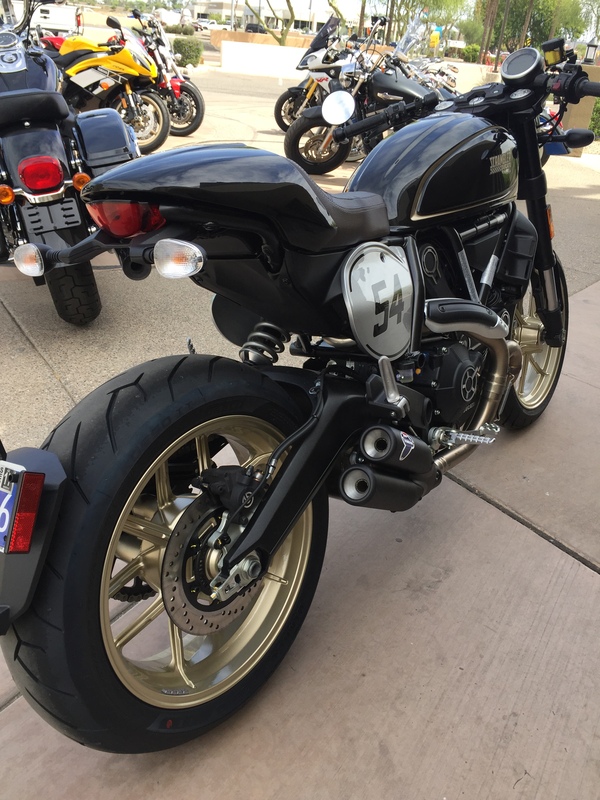 The 2017 Ducati Scrambler Café Racer’s MSRP is $11,395 and it lacks some amenities I would have expected on this bike. First it doesn’t have a gear position indicator. I have grown used to being able to look down at my FZ-09’s dashboard and know what gear I’m in. I would like to see a gear position indicator on the Ducati because it’s nearly $3K higher than the FZ-09. Second, there’s no gas gauge. Coupled with the smaller tank, the lack of a gas gauge reduces the value factor for me. Third, getting into neutral was a real challenge – whether going up from first gear or down from second gear while stopped or in motion – I missed neutral more than I found it. Fourth, the mirrors had a cheapness feel to them. When I tried to adjust them they seemed to give when I pressed my thumb onto the mirrored portion. They didn’t seem like they were glass, but rather more like that non-breakable material that is sometimes used in full-length bathroom door mirrors one might buy in the home section of Wal-Mart. Fifth, the kickstand was hard to get down. There was no little tab that you could simply heel down to open the kickstand. I had to dig my heel underneath to grasp the kickstand. 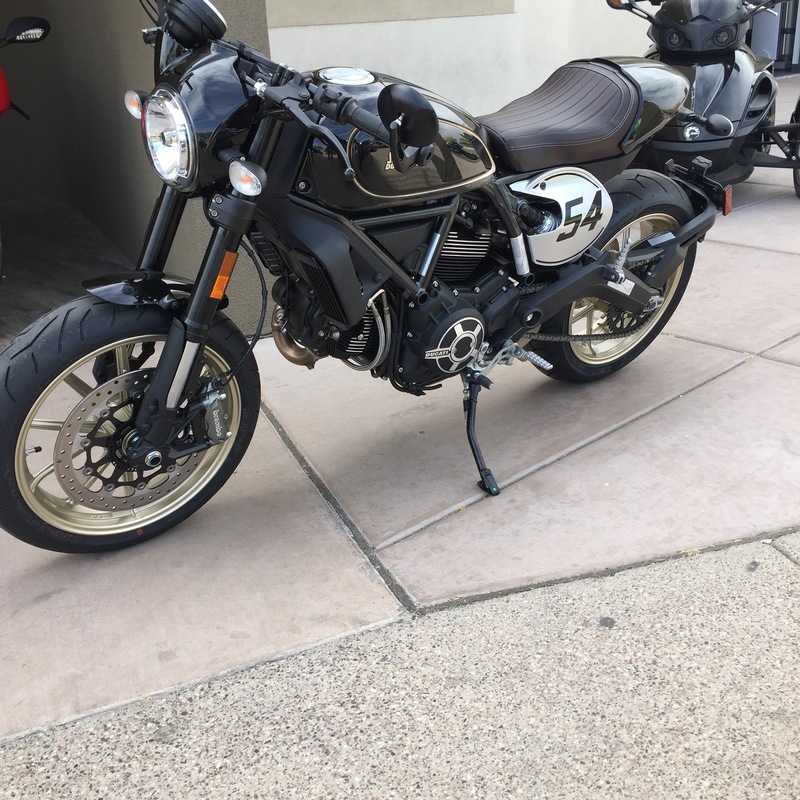 While this is a Ducati and with it you get some solid engineering, I feel that compared to other motorcycles in its class, the Scrambler Café Racer was a bit high-priced. The FZ-07 is less with nearly as much fun factor and the most-comparable bike – the Triumph Street Cup – comes in at $10,500. The 2017 Ducati Scrambler Café Racer will provide so much fun that one might easily overlook the few drawbacks I mentioned. 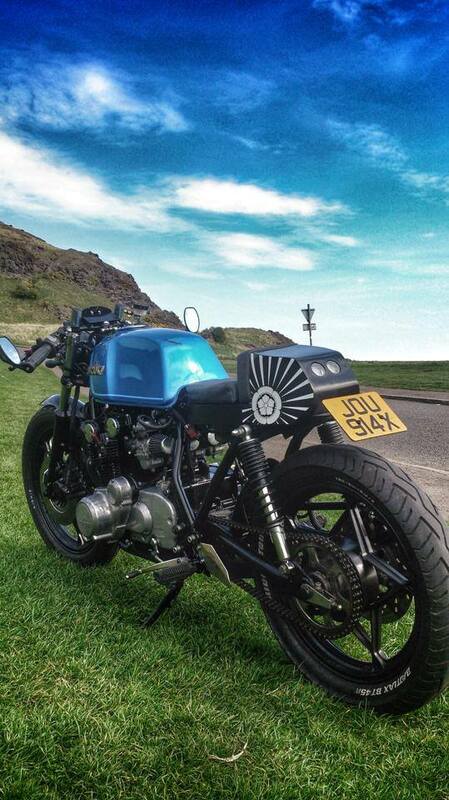 A motorcycle should be more than just function and this bike excels at its fun factor and its cool factor. This bike will gladly overcome nearly all traveling challenges you will throw at it and keep asking for more. I want to give you some context within which I do my motorcycle test rides. I don’t profess to be a person who knows all about motorcycles, so I won’t tell you about the horsepower or the torque numbers. I also won’t try to explain the inner workings of the engine. What I will do is give you my perspective as a short rider (5′ – 5″) who commutes about 100 miles each day (80% highway and 20% suburban streets) back and forth to work. 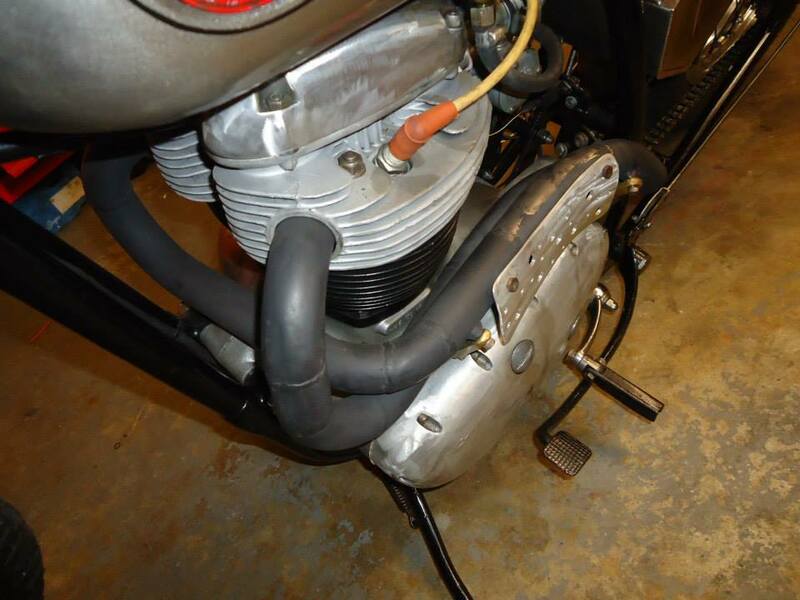 From this perspective I will try to help you understand the pros and cons of the motorcycle I’m test riding. I will offer my opinion which you can take or leave. The 2015 Kawasaki Ninja H2 – Are you ready for some speed?